Sorry not to blog in a while! 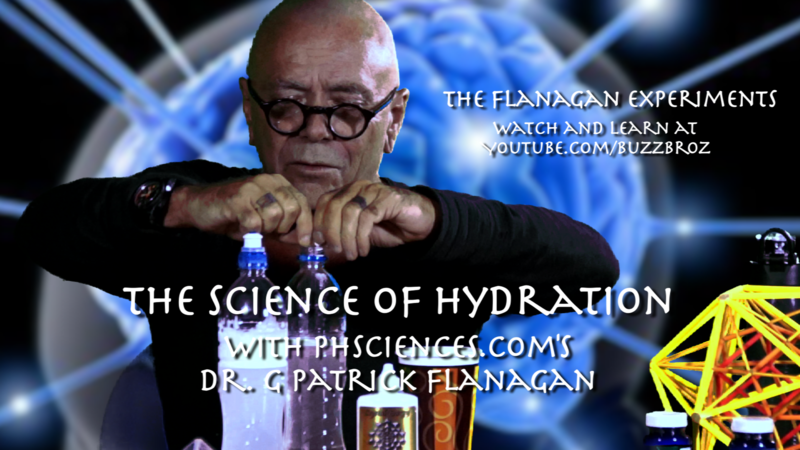 I am busy in Arizona filming famed scientist Dr. Patrick Flanagan for a web series called THE FLANAGAN EXPERIMENTS for his cutting edge company, PHISCIENCES. It’s been an amazing collaboration. Originally I planned to shoot it all in 30 days and edit back home in LA, but I’ve done enough spirit filming to know you do not rush genius. 70 days later I am still in AZ and it looks like the assignment will carry me well into June. But this weary world traveler and spirit reporter is enjoying being on one spot for a change. Each glorious day, I remain on call here in Arizona, just outside Sedona in Cottonwood, for when Patrick is inspired and available. As of the date of this blog we are at 26 of the experiment videos complete with 24 to go and the series will easily break 5 million views. Filming Patrick my spirit guides say will bring an awakening to millions. He is a profoundly productive human being and he’s become my favorite client of all time, surpassing Oprah Winfrey. So that’s saying a lot about why you’ll enjoy his experiments, exclusively on my BuzzBroz – Mind Over Media channel that produced all the Antarctica meditation videos. Enjoy, then after the jump I begin to share my AZ adventure off the clock! Being in AZ 70 days, with one quick trip home to LA then up to San Francisco to film Patrick speaking at the New Living Expo so far has given me a rare opportunity to enjoy Arizona life to its fullest. Back a few weeks, I went to visit the local Cottonwood church for Easter. I’ve not been a practicing Catholic since about 1991 and never will be again. To me now, spirit is like the water: everywhere, free and abundant. And the religions are man’s bottled water brands. I am no longer interested in drinking bottled water, preferring drinking from source, which I find within in meditation.I had happened in late for the service, just after communion. When the service ended rather than rush out to my car as I once would do with all the crowd after Mass, I stood in back of the church and enjoyed the people’s faces as they exited. Most were in the same state of bliss I recognize from meditation events I’ve been honored to conduct. This was lovely confirmation of my bottled water analogy. Humanity is a beautiful thing. It’s all going to work out so beautifully as the 5th dimension unfolds. I was filled with peace, not buying into the fear of Satan and hell part of this brand of water called Catholic. My way of expressing my gratitude today for the blessings of my http://dreamshield.org/ project was to do something I’ve never done before, give a homeless hitchhiker a ride to Cottonwood, AZ, after taking photos at the Catholic church. But it became a bit of a SEINFELD episode when the old fellow, African-American, became very choosy about where he would be dropped off in the one horse AZ berg. Driving in Cottonwood circles went on for about half hour, scouring the small tourist town for the perfect drop spot. Lucky for me I don’t have much of sense of smell as one could only guess the last time he bathed from how he looked, poor man. As we wandered for a drop off point, I began to feel the poor soul did not really want to find, I learned his name was Joseph, appropriate for an Easter Sunday and he was from my adopted home town of Chicago and recited the history of all our mayors. I read his energy field in the confined car as he sniffled from a cold and picking his chaffed nose: he was a ball of short circuiting confusion. I sent him healing intent as felt he was a brother on this crazy 5th dimensional trip. Finally, after apologizing to Joseph that I did not have more time to give him, he selected a burger joint for his drop off. I carried his tattered rolling suitcase to a picnic spot in the shade and gave him $20 to help on his journey. As he settled in for lunch at and we said our good-byes he asked a flood of questions about this guy sharing what has likely been he first ride in a car in a good while. “So you’re Catholic?” said Joseph. And I left the perplexed Joseph to find his way up to Flagstaff and the Amtrak train in the shade at the Sonic burger joint. Subscribe to the blog to get my stories of my adventures Post-Antarctica in the spirit mecca of Sedona. Ah Ken, what an amazing story. I played the part of the Ishtar Bunny that day skipping church (i attend an Interfaith church with my lovely sister.) Me and my roommate were in our awakening backyard garden watching the birds and the blessed bees buzz, and bloom. It was truly a transcendental Ishtar Sunday!